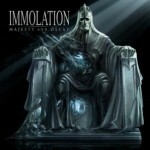 DeathMetal.Org imperious choice picks of 2010 a.y.p.s. 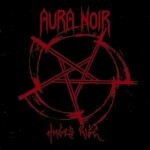 Looking back on another fallen year, we might be reminded that the prior chapter of 2009 represented a global uprising of Death and Black Metal bands opposed to the phenomenon of underground Metal as a commodity as perpetuated by an impulsive, media-consumed, mass internet cult who denounce the culture of values which necessitated the very form of the music itself. This served to strengthen already riotous scenes of desecration and barbarity in extreme territories such as Australia and Canada, and forces across the United States and Europe began to mobilise with a renewed sense of dedication, guided by a selection of ancient voices who have not compromised their integrity to capture a new but deluded fanbase like their peers. The golden ages of Death and Black Metal have long since past and any campaigns to revive the spirit of Hessianism in Metal are not only in their infancy but vastly overshadowed by the populist trends that define the landscape of the genre today. As such, with the burden of anticipation on it’s shoulders, 2010 was by and large seized by veteran armies determined to distill the essence of their unholy craft from the impurities of our age, guiding further generations of warriors to victory. And though our imperious choices of 2010 are dominated by the hands of experience, a few young hordes also rose to the yawning of this battlefield to make bold and vigourous statements as the continuing legacy of true Metal’s eternal spirit. There is a certain door that any contemporary thrash band seeking quality must go through, a certain threshold that requires imagination and the indispensable talents of assimilation to really cross; in metal today, we see countless fragile trends that depend upon a rigid nostalgia and a lifeless worship of what has already happened, fully ignorant of the fact that what has true staying power is never something that was an idle imitation of something that was actually born of genius. In contrast to these bands, specifically the ones which belong to the so-called ‘retro-thrash’ trend, Ares Kingdom is of the opposite mindset; Ares Kingdom does not want to merely copy its primary influences, but to implement and authentically incorporate these influences into a relatively bold and forward-looking composition. The basic idea of Incendiary is quite simple: destroy the phoenix so that she may be reborn, an idea which is not so far from the opening narration of the Destroyer 666 track, Rise of the Predator. 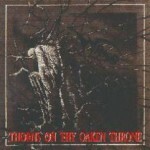 The execution, on the other hand, is what brings the band closer to actually demonstrating this vision than any other insignificant band that elects to portray death and apocalypse for aesthetic reasons alone; from the dismal album artwork to the indifference in Alex’s vocals, from the sad, painful melodies to the caustic and fiery riffs and solos that Chuck Keller (Order From Chaos) delivers, the listener can derive a sure sense of impending, even immediate doom. 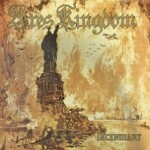 In conclusion, Ares Kingdom is not your average headbangin’, beer-swillin’, hell-worshipping thrash metal; ‘Incendiary’ offers us all the pace and vigour of the classic eighties bands, only it is properly assimilated and raised to a higher level through the cold visage of death metal and the individual imagination of the album’s creators. While sacrificing a bit of the rampant speed of the earlier recordings, ‘Incendiary’ compensates with a thoughtful development that is essential in allowing the band to convey its dark, apocalyptic vision; in other words, through the utility of a confident and dynamic mindset, Ares Kingdom has defiantly revealed a genuine idea independent of its forebears, and in so doing has crossed the threshold that has left so many inferior bands begging at the door. Of the artists who remain from times past, under whose names were unleashed the most disturbing and poignant sounds that defined Death Metal, Autopsy belong to a radical minority in rejecting the expectations of the contemporary audience and find their way back to the essence of their own sound on pure instinct alone. While the last couple of years has seen a rising of undead hordes practicing the ancient forms in a global campaign to transcend the pollutant mainstreamification of Death Metal, very few of these bands have really unlocked the primal secrets which were channelled into every classic of the old school – the dynamics of energy and the implementation within a brutal-violent, hysteric-emotional or transcendental-contemplative narrative, which the veteran likes of Asphyx, Autopsy and Goreaphobia have all recently demonstrated. The simple, largely hysteric level that The Tomb Within operates on makes it a powerful exercise of a seamless compositional style that is completely shaped by a savage state of consciousness, unintelligent yet impulsively aware of it’s own imminent death. Like an onrush of blood pumped through contracting arteries, guitars portray the frantic inner drama of one of Dr. Herbert West’s re-animations, diametrically opposed to his precise formulations regarding post-mortem. Atonal layering in the manner of Slayer’s more pathological works increases tension during these surging passages, punctuated by lead guitars that put to rest any hope of sanity returning. 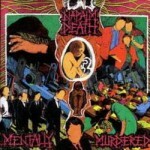 The trademark sludginess of Autopsy’s sound comes from instruments that are seemingly encased in adipocere, retaining within them all the character of their most memorable titles; not aspiring for a modern, clinical definition to their riffs but instead emphasising the rhythmic flow of energy in order to convey the sensations and suffocating experience of mortal dread. The band finds the balance once again of deathly force and doomy realisations as slower riffs offset the hysteria with tollings of morbid heaviness and an inescapable fate. Though Autopsy have stripped Death Metal to an essential skeletal frame, with the added simplicity of a horror movie-like thematic approach, this EP brings a much needed dimension of fear and madness to a world obsessed with ‘zombie horror’ as a populist, retro-hipster, marketing aesthetic. 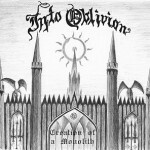 Another excellent tonal poem by this Mexican symphonic horde sees a sense of orchestration and riff balance that has all the consistency of ‘The Key Of Throne‘ from 2004, though takes a deeper foray into the realm of cinematic, ambient orchestration that recalls what Summoning have been getting at for the last 15 years, mixed with the battle hardened epics of Lord Wind. This new turn in a more heavily instrumental form recalls what fellow countrymen The Chasm brought about in the form of last year’s Farseeing The Paranormal Abysm with a little less emphasis on the central role of vocals. Though rather than the syncretic, melodic death metal of their peers, Avzhia’s black metal assault owes it’s periphery to the best works of Emperor, Graveland, Ancient, Summoning and Xibalba, throwing them into a cohesive and bombastic mould. 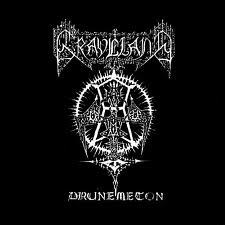 I would not say that this tops their previous full length, but this follow up is very worthy indeed and consolidates their status as one of the great torch bearers of what black metal stood to express, the embodiment of restoring mystical imagination in the listener. The unstoppable Rob Darken took again some time from swordfights and armour forging to take a look at the barbaric-modernist thematic system devised by composers such as Richard Wagner and Basil Poledouris, with a metallic energetic pulse rarely witnessed since Following the Voice of Blood; the last of the fast Graveland albums. The lack of Capricornus hardly matters because the authentic or perfectly synthesized drumkit recalls the same Celtic tribal warmarches and the raw, unsymmetric heartbeat of a primal man hunted by wolves, perfectly countered by the dark druid’s usual cold and hardened vocal delivery. A deeply neo-classical realization how to build heaviness through doomy speeds and chordal supplements still elevates the Polish seeker-initiator into a force far beyond today’s puny black and heathen metal “royalty”, looming beyond as a frightening presence of unrealized wisdom; nothing less than the Manowar of black metal, with no hint of irony or self-loathing. 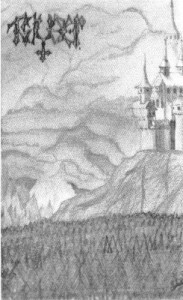 There exist two directions of expansion since the ethereal melodic chime of alfar nature in “From the Beginning of Time” is Summoning-esque (“Spear of Wotan” even features a variation of the “Marching Homewards” melody) while the harmonic perception takes a sudden dive into folkloric origins in the proto-rock riffing of “White Winged Hussary”, reminiscent of the most “redneckish” moments of the early albums. No essential component has been changed in a decade of work, but slight improvements of formula keep the mystically oriented listener spinning towards the distantly heard croaking ravens that herald the upcoming axe age, one that shall bless our corrupted world with a merciful blow from Wotan’s spear of un-death. Recent history has borne witness to developments in Black Metal that sets the music more at war against itself than with it’s traditional enemies and time has accumulated vast quantities of debris resulting from this internal crisis of identity and credibility. The shape of all the rubble is appropriately rocky, resembling the multitude of “fairy land” daydreams based on genres of alternative popular music incorporated to gain the approval of outsiders who possess no more understanding of the wolfish, warlike and mystic poetry of Black Metal’s spiritual essence, but want to claim this ‘niche market’ as their own. 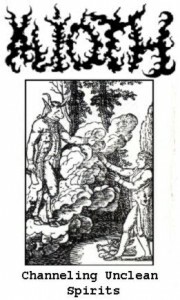 Even the cloak of demonic symbology, long-since regarded as a joke to even the casual listener – little more than a generic garb for posturing and associating with the genre’s ancestors – has been accordingly stripped of all occultic luminance, which shined too fiercely over the eyes of the humanist infiltrator, such that the tears of depressive-suicidal ideologies would instantly evaporate. 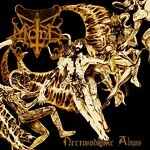 None of these signs of the times, however, have influenced the veteran duo of Dagon and Incubus, who, in an ultimate statement of Satanic zealotry and inhuman purity, tunnel back to the hypnotic primitivism of Black Metal’s first waves, re-formulating and refining the style of early Bathory to produce an album that reveals the inherent mystical wisdom which inspires Black Metal’s sinister imagery, with no recourse to obvious cliches nor over-intellectualisations in order to clutch at some idea of artistic credibility and potency. Based on the technique of Immortal’s ‘Pure Holocaust‘, Inquisition craft expansive yet blasting soundscapes from swirling portals of riffing immediately reminiscent of ‘The Return……‘ by Bathory in it’s Punkish brevity. These are inflected by dissonant open-chords and all manner of string-bending and sliding chaos to create a legitimate sense of increasing cosmic awareness and trans-dimensional ascension, as they circulate around each song’s central melody in a bizzarely motivic fashion. This is a component that bands such as Blut Aus Nord, who aspire to embellish their songs in such an experimental way, simply do not possess. Even the most meandering of arpeggiated open-chords don’t feel derivative as they sound out powerful and song-defining melodies rather than merely filling out time and space. Similarly to fellow Latin Americans Avzhia, Inquisition create a total sense of grandeur by bringing songs to an apex of expression through essentially simple but epic power-chord riffs. The masterful percussive transitions of Incubus guide the album fluidly between the various evolutionary elements of Inquisition’s sound, from the majestically crashing and pounding cadences of Burzum to the rolling avalanche of Immortal. Ominous Doctrines of the Perpetual Mystical Macrocosm is in many ways the album that the Blashyrkh horde should have recorded instead of ‘All Shall Fall’, as even Dagon’s toneless chanting style is somehow more expressive than past vocalisations in its similarity to Abbath. 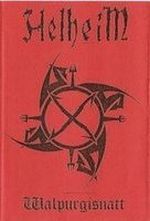 But all comparisons aside, there is no doubt as to which band reigns the Black Metal underground almost alone these days as Inquisition have created another uncompromising and profound work that no other so-called Satanists have the power to match. The New York City borough of Brooklyn might be better known to the universal consciousness as “The Hipster Capital of the World”, “A Fantastic Place to Collect STDs”, or “Where Culture Goes to be Sodomized”, amongst other colorful and imaginative epithets. Naturally, any self-touting Metal bands originating from this region ought to be approached with utmost scrutiny, as these are all almost invariably revealed to be alternative rock acts hiding beneath a masquerade of long hair and Dionysian discord. Breaking decisively away from this brand of perfidious whoredom are nouveau death metallers Mutant Supremacy, who occupy a peculiar nexus in between Monstrosity, Dismember, and Infester — thus setting them apart from the archetypal NYDM style as well. 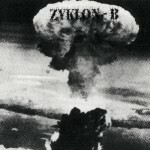 Seemingly fueled by an intense hatred for the free-loving cosmopolitanism that surrounds them, this band constructs theatrically explosive war-anthems conceptualized around a post-nuclear-apocalyptic Hell on Earth, rife with Thrasymachan rhetoric, biological abominations, and grisly accounts of human extermination. 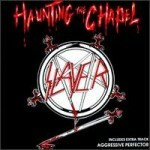 Songwriting on this debut mostly shows a clean-cut and sharp sense of narration clearly indicative of a studied discipline in the arts of classic Slayer, although there are a few odd weak moments where stylistic confusion vomits forth a spate of old school clichés and uncompelling Flori-death/Swe-death/British Grindcore aggregates. Overall, however, there is certainly something refreshingly violent in development here, and it’s a victory to hear such a proud death knell coming from what is otherwise an utterly syphilis-addled portion of the planet. True to form, Profanatica release a focused, energetic and iconoclastic opus that shatters and mocks any infantile and moralistic conception of reality. 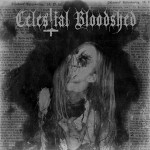 Both compositionally and aesthetically powerful, the production on Disgusting Blasphemies against God is both clear and full, lending itself nicely to an analysis of its subtleties and providing the clarity necessary to gain a chuckle at the expense of nearby spectators privy to the album’s intrusive vitriol. Ledney’s vocals are hilariously clear yet retain a threateningly violent quality that is becoming of this style of Black Metal. 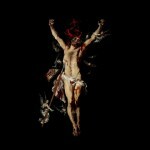 As Ledney vomits forth his blasphemic ritual, listeners are treated to a notably ominous musical atmosphere that is uncomfortably somber, deranged and challenging. Utilizing single note tremolo picking, reminiscent of a cross between a more consonant Havohej and the effective and simple melodies of VON, Ledney in is his genius, develops motifs, that while perhaps more obvious and accessible, remain potent and successfully create an intriguing state of anxiety. These motifs both seamlessly emerge from, and return to sinister Incantation style riffs which work together to develop a unity and structural coherence that while primal and simple is undoubtedly effective. The interplay between these musical variable creates an overall experience that portends the celebration of the powerful, living and animated chthonic mysteries and perhaps more pressingly the apotheosis of their necessary destructive capacities. Toronto’s death dealers unearth the forgotten formulas of 80s-90s extreme metal in their second offering, a follow-up to the debut cassette “A Litany of Vileness”. This punk-driven death metal statement delivered by veterans of Canadian scene (former members of The Endless Blockade and Rammer) shows no mercy: it is short, volatile and dirty. Yet, at the same time the material is well weighed and balanced, blessed with the genuine feel of old-school art. The production helps conveying old metal nostalgia whereas Spartan songwriting confronts useless acrobatic tendencies of the modern scene. The band’s uncompromising music is perfectly collaborated with artwork by Moscow artist Denis Kostromitin. Standing on the shoulders of giants like Autopsy, Carnage, Pestilence, Repulsion and Discharge these reapers managed to find a voice of their own. We can only hope that this beautifully presented vinyl-only release is a “carnal promise” of Slaughter Strike’s prospects. As if poisonous arachnoids had woven a sticky web around a hermit of the desolate Pampas, the multitude of savage Angelcorpsean riffs blasts from Desecration Rites’ rehearsal room with hardly any control or structure for the confounded listener to immerse in. The Argentinian blackened death duo did not have the time to execute all matters properly here because of unfortunate circumstances, and it shows in the deprecated, spastic rhythm of machine, the hysterical frequency and bouts of unclean guitar work all over the place. If something is keeping these dogs of sequences under leash, it is the deep, rumbling voice of Wolf intoning Faustian misery from the bottomless depths of darkness, occasionally unwinding power lines of similar effect to Craig Pillard’s majestic demon voice in the eternally classic Onward to Golgotha. For the modern death metal fan expecting a digitized, synthetic robot surgery there is probably no more horrific sight than this deluge of an album, but internally it is far more hypnotic, intricate and deadly than one could hope for. Just listen to the freezing pseudo-Nordic moments of “Death Sentence to an Agonizing World” or the ethereal, solar and jarring interlude of “Carnal Dictum” and you might just get a slight moment of hope in the future generations after all. 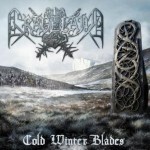 This British debutant lets loose the heathen wolves of war with a triumphant fanfare akin to Vlad Tepes’ famous Wladimir’s March before leading us to a journey of mountainous black metal landscapes, Graveland-esque meditations, ancient English fire-lit caves and Zoroastrian philosophy. The same sort of extended pagan tremolo epics (18 minutes of length at worst) that made countrymen Forefather and Wodensthrone veritable trials to sit through are pretty close at hand here, but the sparkling energy of youth helps a lot; there is a wildness and intrigue that contributes variation in sense even when there is none in content. Much of the logic of the songs seems to be emotionally stringing disparate sequences into a journey or a fictional narrative, which is essentially never a bad choice but some of the material here could be cut off to be brutally honest. Sound quality is the pseudo-spatial vacuum of too much reverb common for demo-level bands, but the instruments are clearly audible and the mid-rangeness is efficaceous. 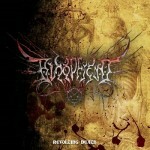 Unmoving and halfhearted chants and throwaway happy riffs are the blight of heathen metal, but Lord Revenant possesses sufficient pathos to allude to traces of occult evil and memories of ancient war at the same time; while this effort is not enough to coin him as a master of British metal, it would be a disappointment to hear these same songs performed by a more professional, disinterested voice in the future, or see him disappear without a trace after such a promising start. 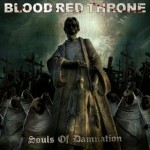 More than one and a half hours of harsh, pummelling death metal is neither a mean feat to compose nor to listen. As if Wagner, Brahms or even Stravinskij decided in the otherworld that these wimpy rock/metal kids have had it too easy and possessed various souls to spend hundreds of nights writing progressive Romantic/Faustian death metal partitures, 20+ minute pieces such as the title track or “On the Throne’s Heavenward” lumber and crush with such interminable weight that it is hard to not feel like attacked by a divine hammer from above as designed by Gustave Doré. You can forget about them mosh parts, since this is material about as brainy as anything by Atheist, with slow-moving adagios and creeping crescendos more familiar from Brian Eno’s ambient music or Esoteric’s hypno-doom than anything in satanic metal realm. Vocals are sparse and it feels like about a half of the album is purely instrumental and this creates a strange calm suspension which might even feel uncomfortable; but compared to The Chasm’s mastery of technique, it still does feel like an essential emotional counterpoint or rhythmic pulse bestowing element is missing, and when the cruel vocals suddenly rip the air, it might even be perceived as a disturbance to the solemn atmosphere. Nevertheless, it is probable that they are going for exactly this synthesis of the intellectual and the primal; the emotional and the physical. 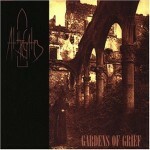 So fortress-like, rational, calm and measured that it is hard to connect its spirituality with its death metal origins (even the previous Into Oblivion release), it is certainly an important statement while the cumbersome nature and certain academicism in construction (perhaps “filler” in metal language, the problem of the previous album as well) makes it a bit of an unlikely candidate for casual listening. Anyone interested in the future of Death Metal cannot afford to miss it, though. 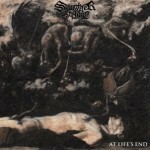 Heirs to the bludgeoning power of Escabios and other ancient compatriots, this recent Argentinian sect wastes no time with progressive anthems, intros nor filler in this concise EP of Autopsy influenced memoirs of early 90’s scathing death metal savagery. If the band has capacity for a challenging composition or a range of emotion, it’s all but hidden in this conflict of vulgar and intense demo taped riffs that could originate on any scummy cassette dug up from your older brother’s cardboard box vaults. Even most crustcore bands could hardly resist the temptation to fill the gaps out with something more liberal, but I am glad Bloodfiend do not resort to any loose pauses in their old school attack. The band is not yet quite there in the top ranks of death metal resurgence, but possess more than their share of contagious energy that will make for a good live experience and raise hopes for a more dynamic album. Brutal death metal cliches abound but also tasteful dashes of improvisational riff integration as California youth Exylum strike from the bottomless depths with a manifest of fragmented ideas like old Cannibal Corpse, Finnish death metal and newer black metal in a blender. Weird effected voices cackle, pinch harmonics abound, chugging is all but industrial metal, drumming provides a solid backbone and the ululation of the lead guitar harmonic reaches a hysterical plane of existence when the band lets go of identity expectations and go ballistic as in the end of “Worshiping the Flesh Eating Flies”. The worst thing on this demo is the tendency to fill space with something simple and stupid like the endless low tuned one note rhythmic hammering towards the end of the title track. 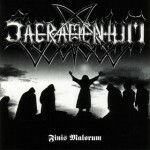 When the band is in a more chaotic mode, as in the older recording “Ritual Crucifixion”, the confusion serves to imbue the composition with more blood and action. 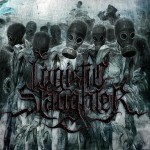 As persistence is the key to cosmic victory, it’s gratifying to see that this recent Californian cluster is not giving up in their quest to build a maiming death metal experience which was approached with streamlined Bolt Thrower and Cannibal Corpse tendencies in their last year’s EP. First threatening edges noted by the listener here are their improved musicianship with plenty of rhythmically aware palm-muting and tremolo NY style rhythm guitar riffs interlocking like the paths of ferocious large insects on flight while in the new drummer Kendric DiStefano they have a redeemer from the abhorrent pit of drum machine grind, even though his style tends to approach the robotic at times. The moments where this EP shines is when the brutal backbone operates at the behest of melody conjured by the leads of Mike Flory and Daniel Austi, such as the gripping mid-section of “Exit Wounds” and the Nile-ish mad arab string conjuration in “Litany of Blood”. 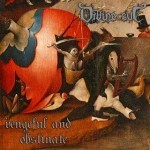 I’m still reluctant to call this a total winner because there’s a lot of random chugging around as in generic bands from Six Feet Under to Hypocrisy, but there are also subtle technical flourishes such as the lightly arpeggiated bridge in “War Machine” that still keeps me liking this band and following its movements. This series of reviews shows the infectious potential of condensing the multidimensional texture of darkness and mythology into a carefully trimmed brief explosion with no room for filler or long, meaningless passages of droning, experimentation or interludes. Those who mastered the art of the metal EP or mini-LP are rare, but deserve all the more credit for their achievements. The fact that you can listen to everything we have here easily within the space of one evening does not mean that the unlocked experiences won’t stay with you forever. A short and sweet five song EP by Neutron Hammer sees these young Finns tackle a simple, tried yet tested formula, typical of what we expect from retrograde black/death/thrash hybrids, seemingly with the only intention to rehash and rekindle lost memories of something many once saw as ‘true’. 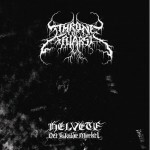 With a sharp and clear production that conveys great energy within the constraints of mostly verse/chorus song structures, Neutron Hammer often have a similar charge to their music not unlike Australian nostalgics Vomitor and Spear Of Longinus, though compacted to an catchy, anthemic mode that fits the early, primitive works of Impaled Nazerene and Beherit. Excellent work, and also worth watching if you can catch a live performance. 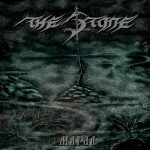 Serbian black metallers The Stone create an epic work that resembles Texan act Averse Sefira, as both bands combine death metal riffing with Norwegian styled harmonies. The differences here are that the melodies are more obvious to untrained ears and we get much more variation in tempos. Amidst this framework there is a crepitating NWOBHM influence in the guitar work, laid beneath a sheen of violent, modern black metal phrasings. One of the best releases to come out of Eastern Europe since the turn of the recent millennium. 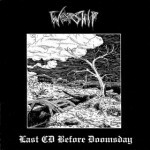 Reissued on CD format five years after being issued on cassette in 1999, Worship play in a funeral doom style that takes on the amelodic, sluggish, death-doom riffing of Thergothon and the suicidal themes and eclectic ambiences of fellow Germans Bethlehem. 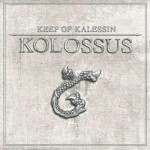 This lacks the sense of continuity that makes bands like Skepticism great, often losing its momentum in its search of unfathomable dirges of gloom, though this is no means to suggest it is a bad work, it still has its moments of quality. 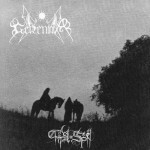 A minor classic of Norwegian black metal, Gehenna’s debut full length contains five songs that combine simple, punky chords and tremolo picked guitar harmonies amidst a backdrop of haunting, etheareal keyboards. 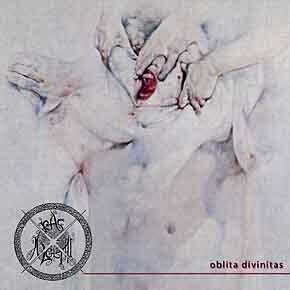 Unlike most bands who have unsuccessfully tried to execute this ‘gothic’ variant of black metal, Gehenna clearly understand quality control, and whilst they allowed this aesthetic to play a key role in what you hear on the surface, it is kept in moderation and doesnt outweigh the artistic beauty on offer. If you are looking for something that triumphs where acts such as Cradle Of Filth handicapped their own potential, one should find it all here. Simple, imaginative, majestic and consistent, this is a highly recommended release.